Research proves, “If you snooze, you lose” is false. Professional athletes/sports teams (e.g. Seattle Mariners of Major League Baseball) engage sleep consultants, the military studies rigorously, and there’s a chicken-egg debate about whether lack of sleep causes depression, vice versa or both. You’re damaging yourself if you’re not getting enough sleep, so this section is devoted to information, tips and resources to help those of us (ME!) who mean well but who end up staring at the ceiling, worrying about tomorrow (next week, next month, next year) and operating on far less than the recommended 7-9 hours. Make your room cool, dark and quiet, although some people require a noise maker. If you have trouble falling asleep, try light reading as part of your routine—thumbing through the tax code should work! Sleep naked, even by yourself, to get the good brain chemical, oxytocin. If you awaken and cannot fall back asleep because of worry, open your senses and focus on something outside your brain (e.g. a noise inside/outside), or try staring at something by forcing open your eyes, even in the dark (e.g. a spot on the ceiling or something across the room), and often next thing you know you’ll fall asleep. 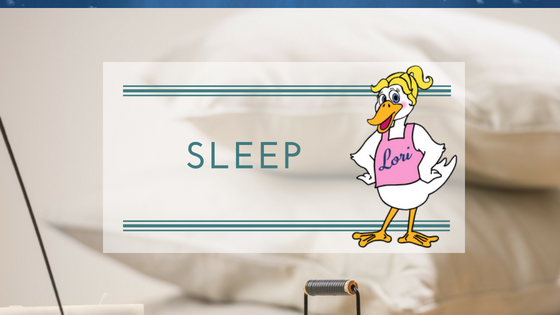 Make sleep a non-negotiable priority by first blocking off those hours then scheduling the rest of your day—this is a first step must for those making sleep their catalyst habit. This page will be updated regularly as we learn more.